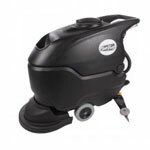 Move on up from a walk behind scrubber with the entry model in our IPC Eagle riding series. The IPC Eagle CT80 28 inch ride-on floor scrubber has equipped the latest scrubber technologies including updates that increases the run time on your machine while reducing water and chemical consumption. The control panel has been updated and allows the user to pick with a touch of a button from several preset modes or even go as far as customize the machine to handle any level of cleaning your floors may need. 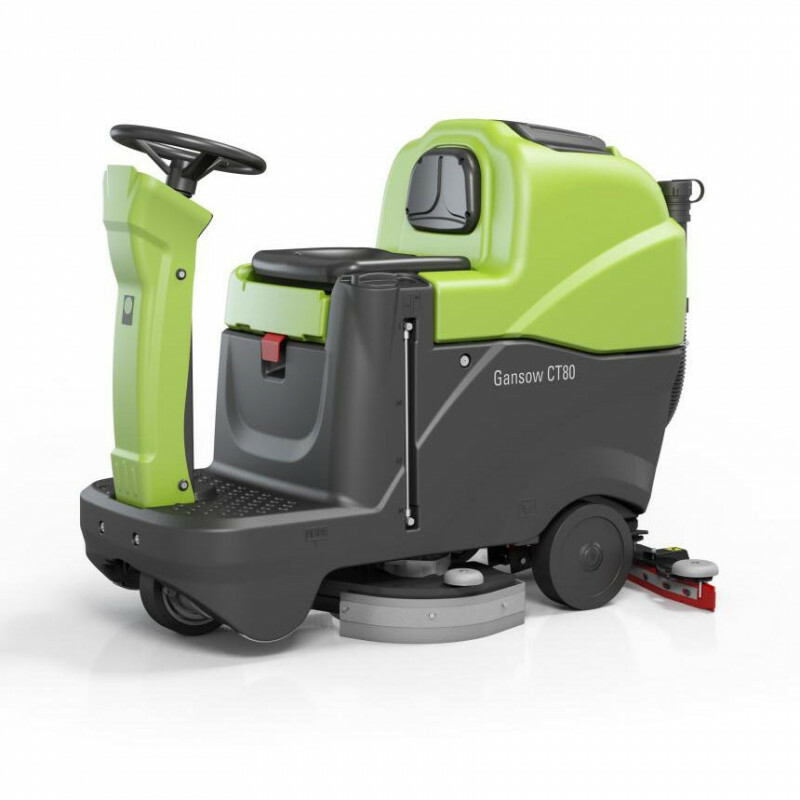 The CT80 has a self-leveling system that keeps constant pressure on your brush or pad while cleaning uneven floors. Keeping your scrubber maintained is easier now with color coded parts that shows the operator areas that need daily and scheduled maintenance. Parts are also marked in yellow for quick identification. Brushes and squeegee blades have tool-less removal to allow for maintenance anywhere on the floor while brush fitting can be completed from the operator seat at the touch of a button.